This morning, in Brockton, an unidentified female was hit by a vehicle. She was taken to Boston Medical Center by Brockton Fire Department with severe injuries. The female pedestrian was hit on Gladstone Street. The accident occurred around 11 a.m., no other details have been released by Brockton police. The injuries were to the lower part of her body. After fault is assigned in a car accident, the rest of the lawsuit is dedicated to establishing the damages suffered in the car accident. The repercussions of a car accident can last for quite some time. 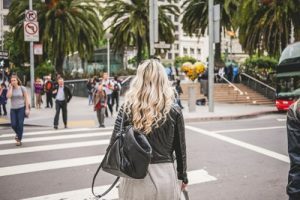 In pedestrian car accident lawsuits, damages are typically established as medical costs, lost earning, pain and suffering, and the diminution in the quality of life. The most straight forward type of injury is the medical costs associated with the accident. Lost wages are also typical damages in a pedestrian car accident, these are also fairly straightforward to establish. Where the injuries suffered by a victim prevent him or her from working, the wages he or she would have earned must be paid by the driver at fault. Pain and suffering damages are difficult to establish. The difficulty is in valuing the time of suffering from a particular injury. There is no hard and fast rule on what any particular pain is valued at. An experienced Massachusetts personal injury attorney can utilize different tactics and strategies to best establish a monetary demand. In conjunction with pain and suffering, is the loss of the quality of life. This means, putting a value on the catastrophic change the accident imposed on the victim’s life. For example, going from a marathon runner to a quadriplegic. However, again, the controversy that comes up is in the method to establish the value of any one person’s pain and life. The change in life between life before the accident and after the accident, is known in personal injury cases as “loss of enjoyment”. If you were injured in a pedestrian car accident, contact the attorneys at the Law Offices of Jeffrey S. Glassman today. Hiring a Brockton personal injury attorney will allow you to successfully traverse the legal system. You can call the attorneys at (617) 367-2900, we will travel to you if your injuries prevent you from coming into the office.